Guardians of a sacred trust, the Knights of Ozem are a chivalrous order based out of Lastwall and dedicated to guarding against the return of Tar-Baphon, the dreaded Whispering Tyrant. They also fight against the schemes of all undead creatures and any plots to increase the power of undeath, especially those associated with the Whispering Way. The order is deeply religious, composed of devoted worshipers of their current patron deity, Iomedae. At the height of the Shining Crusade, the Knights of Ozem venerated Aroden and summoned Arazni, demigod and warrior-herald of Aroden, to aid them in their battle against the Whispering Tyrant. Arazni's death at Tar-Baphon's hands and the demise of Aroden at the start of the Age of Lost Omens caused the order to transfer its allegiance to Aroden's inheritor—the goddess Iomedae, herself a heroine of the Shining Crusade. The Knights of Ozem hold a particular grudge against the ghostly wizard-ruler Geb, who stole Arazni's corpse and reanimated her as a lich, taking her as his Harlot Queen. They pursue Arazni in her new form, in hopes of destroying her and giving her soul eternal rest. To qualify to become a Knight of Ozem, a character must fulfill all of the following criteria. Armor Proficiency: Must be proficient with heavy armor and shields (not including tower shields). Skills: Knowledge (religion) 5 ranks. Weapon Proficiency: Must be proficient with the longsword. The Knight of Ozem's class skills (and the key ability for each skill) are Heal (Wis), Knowledge (arcana) (Int), Knowledge (religion) (Int), Ride (Dex), Sense Motive (Wis), and Spellcraft (Int). The following are class features of the Knight of Ozem prestige class. Weapon and Armor Proficiency: A Knight of Ozem gains no additional weapon or armor proficiencies. A Knight of Ozem gains a bonus equal to 1/3 his class level (minimum +1) on Perception and Sense Motive checks against undead. He also gains this bonus as a dodge bonus to his AC and CMD against attacks made by undead. At 2nd level, and every three levels thereafter, a Knight of Ozem gains a bonus feat in addition to those gained from normal advancement. These bonus feats must be selected from those listed as teamwork feats. The Knight of Ozem must meet the prerequisites of the selected bonus feat. In addition, at these levels, a Knight of Ozem may choose to learn a new teamwork feat in place of a teamwork feat he has already learned. In effect, he loses the old teamwork feat in exchange for the new one. The old feat cannot be one that was used as a prerequisite for another feat, prestige class, or other ability, and he can change only one teamwork feat at any given level. Bashing Finish, Covering Defense, Greater Shield Focus, Greater Shield Specialization, Improved Shield Bash, Missile Shield, Ray Shield, Saving Shield, Shield Focus, Shield Master, Shield Slam, Shield Specialization. A Knight of Ozem must meet the prerequisites for these feats, but his class levels count as fighter levels for the purposes of meeting these prerequisites. At 3rd level, a Knight of Ozem gains a favored enemy bonus of +2 against undead, or if the Knight of Ozem already has favored enemy (undead) from another class, increases his existing bonus by +2. (This doesn't increase existing favored enemy bonuses against any other creature types.) This otherwise functions as the ranger class ability. At 4th level, whenever a Knight of Ozem threatens an undead spellcaster, he gains the benefits of the Disruptive and Spellbreaker feats. He counts as having these feats for the purposes of qualifying for feats or other abilities. If he already possesses the Disruptive and/or Spellbreaker feats, the effects do not stack. When he threatens any spellcaster (not just an undead spellcaster), the concentration check DC increases by 2 if the spell being cast is from the necromancy school, has the death descriptor, or has the evil descriptor. For the purpose of this ability, the Knight of Ozem counts as having automatically identified the effect as if he had made a Spellcraft check. This increase only applies if the Knight of Ozem is aware of the spellcaster's location and is capable of making an attack of opportunity. At 6th level, a Knight of Ozem gains a +4 morale bonus on saving throws against spells and effects created by undead creatures. 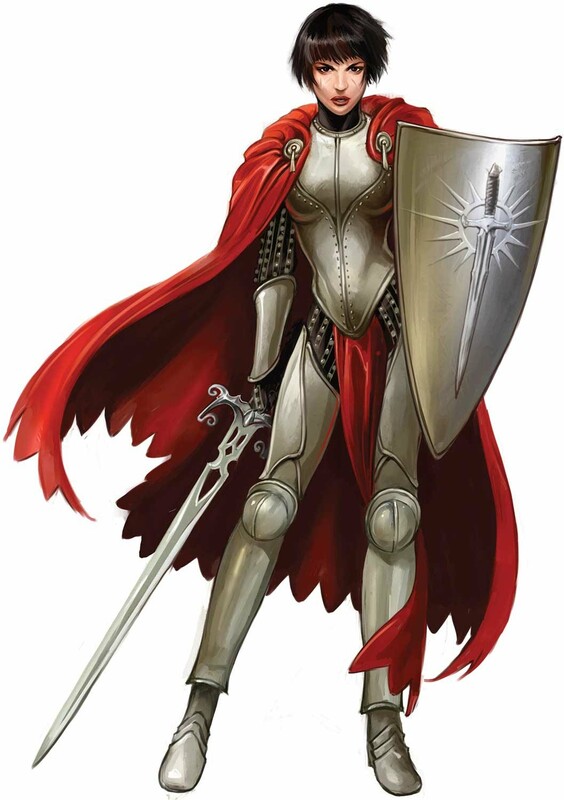 At 7th level, a Knight of Ozem can attempt to dispel an ongoing spell effect from the necromancy school or one with the death or evil descriptor as part of a melee attack against a creature or object. The Knight of Ozem must declare the attempt before making the attack, and if he misses, the attempt is wasted. If the attack hits, eligible effects on the target are subject to a targeted dispel magic effect (caster level equal to the Knight of Ozem's total character level). He can use this ability on any melee attack, but only once per round. At 9th level, once per day as an immediate action, a Knight of Ozem can force an undead spellcaster he threatens to reroll a concentration check made to cast defensively. The spellcaster must take the lower result. At 10th level, once per day as a standard action, a Knight of Ozem can transfigure his gear into the Iomedaean embodiment of virtuous valor. His armor (if metallic) turns silver-gray, gaining the material properties of adamantine in addition to any other material properties it may have. His shield (if he wears one) glows like a torch and gains the blinding special ability in addition to any other special abilities it has. The shield's blinding ability has a saving throw DC of 19 (21 vs. undead). His cloak (if he wears one) turns bright red, becoming a cloak of resistance +5 in addition to any other properties it has. His sword (if he wields one) acts as if it has a holy sword spell cast upon it with caster level equal to his class level. These effects last for 1 minute, and only function while the Knight of Ozem wields or wears these items. A dropped or removed item ceases granting its abilities, but resumes if returned before the duration expires. Pathfinder Campaign Setting: Paths of Prestige © 2012, Paizo Publishing, LLC; Authors: Benjamin Bruck, Jason Bulmahn, Matt Goodall, and Jason Nelson.